Restaurants are leaning towards kiosks to help improve their business. It originally started with improving rush hour lines and speed & efficiency. Now, restaurants are looking at kiosks to improve customer experience and customer loyalty, which will result in a positive increase in profits and revenues. 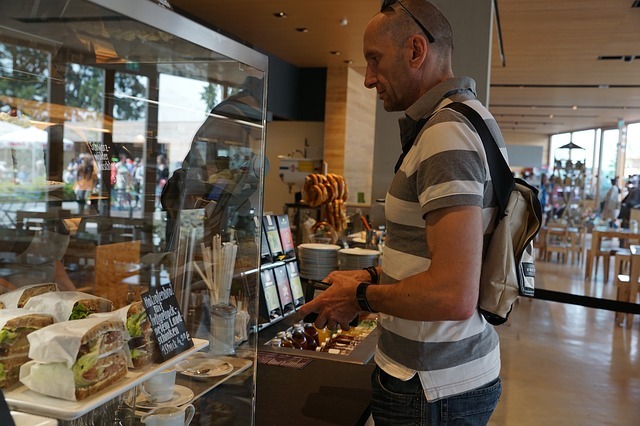 One important feature is that kiosks allow consumers to have a very high level of control and personalization. The kiosks help improve order accuracy. Taking the middleman (person taking order) out reduces order time and reduces the chance of a miscommunication with the order. Another added benefit of kiosks is now restaurants have more consumer data. They can look at what time customers order certain items and how much of it they order. With this data now available, restaurants can better predict their consumer trends and better prepare for it. Maybe a restaurant like Chipotle notices that a customer always includes guacamole in their order – sometimes even adding extra guacamole. Chipotle could personalize a special promo for customers that love guacamole. Maybe something like “Get an order of free chips & guacamole with your entree purchase.” They could also do something like a loyalty program, where swiping their loyalty card or credit card brings up their most recent or most ordered items. This will also expedite the ordering process. Similar to digital ordering, kiosks on average have a higher check. Kiosks are designed to upsell consistently. Implementing kiosks means that businesses now use less labor. These savings can go towards other things such as better quality ingredients. Despite all of these positives, kiosks can be a tricky task. No two restaurants are the same, and it will take a lot of customizing to fit the kiosk to the needs of the restaurant. Kiosks may not benefit all restaurants either. For example, restaurants such as Chipotle and Subway have a special interaction between the customer and food prepper. At those two restaurants, you can follow your order down the line and see it being customized and personalized to your liking. Downtime could also be a huge problem for restaurants. What if the internet is down? Now you can’t operate. Overall, there are a lot of different factors that go in to implementing a kiosk, and it may not be the right solution for every restaurant. It requires a lot of operations, marketing, and IT to get it right.